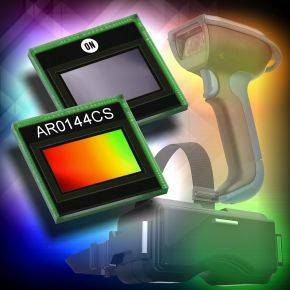 The AR0144CS is a 1/4-inch 1.0 Mp CMOS digital image sensor with an active-pixel array of 1280 (H) x 800 (V). It incorporates a new innovative global shutter pixel design optimized for accurate and fast capture of moving scenes. The sensor produces clear, low noise images in both low-light and bright scenes. It includes sophisticated camera functions such as auto exposure control, windowing, row skip mode, column-skip mode, pixel-binning and both video and single frame modes. It is programmable through a simple two-wire serial interface. The AR0144CS produces extraordinarily clear, sharp digital pictures, and its ability to capture both continuous video and single frames makes it the perfect choice for a wide range of applications, including scanning and industrial inspection.